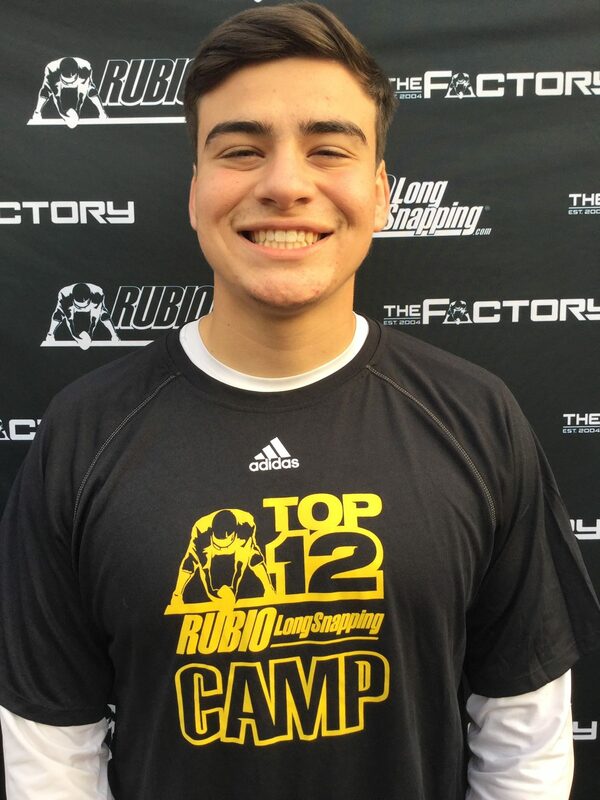 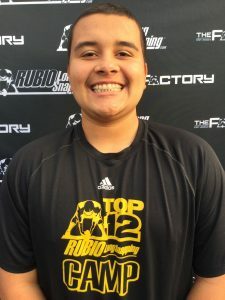 Rubio Long Snapping traveled to AZ on December 9th, 2018 for their fall camp. 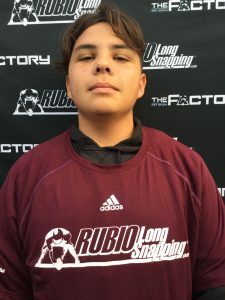 Rubio Long Snapping will be traveling around the country this fall with stops in NC, NJ, WA, CA, TX, GA, AZ, IL with everything leading into the biggest and best Long Snapping event in the world, VEGAS XXXIII in January! 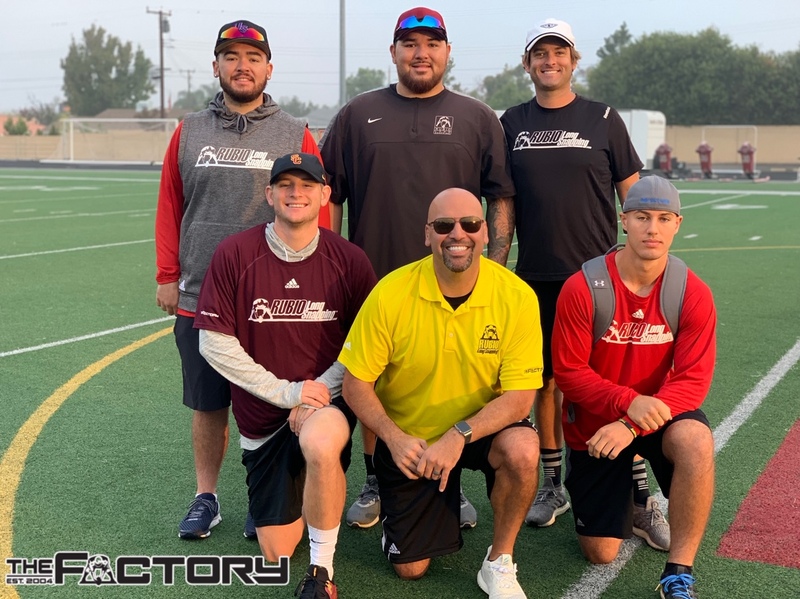 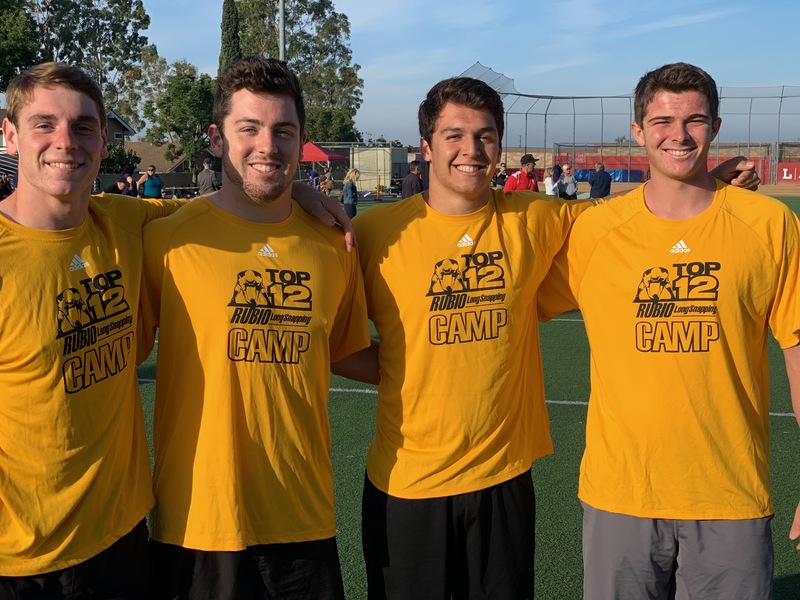 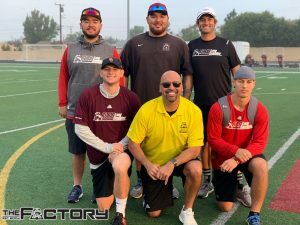 Long Snappers from CA, MT & AZ all traveled to this camp to get the best instruction and exposure in the world of Long Snapping. 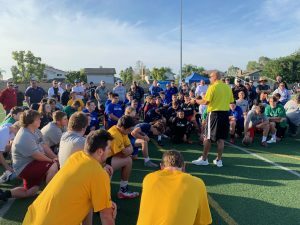 The camp was a great time had by all with an excellent group of Long Snappers and parents. The champion of the camp was Cole McCutcheon! 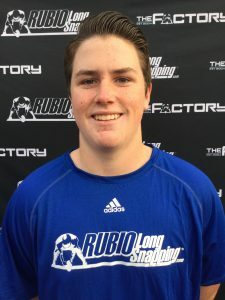 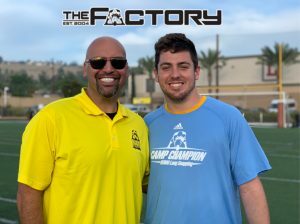 Cole was on fire all day and has proven to be one of the most accurate and consistent Long Snappers in his class. Just a couple of weeks ago, Cole made it to the finals in WA and darn near won that one as well! 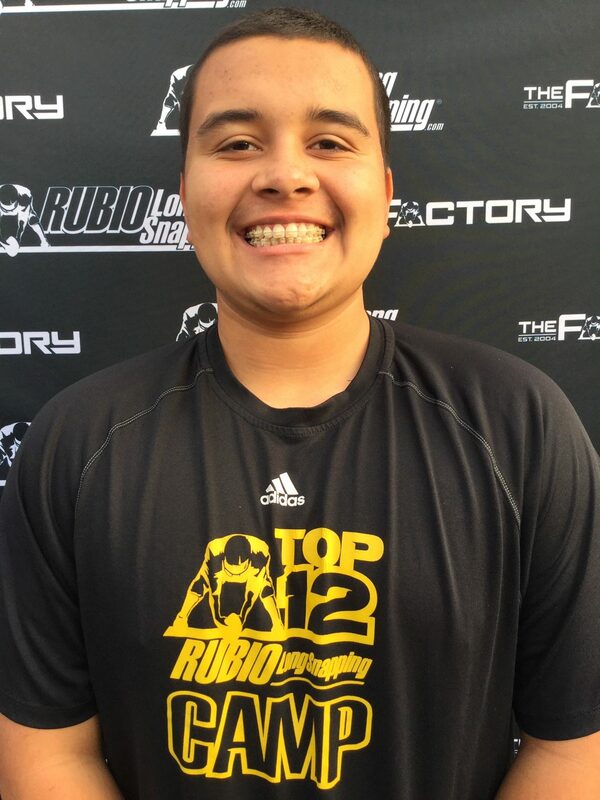 Keep an on Cole at VEGAS XXXIII. 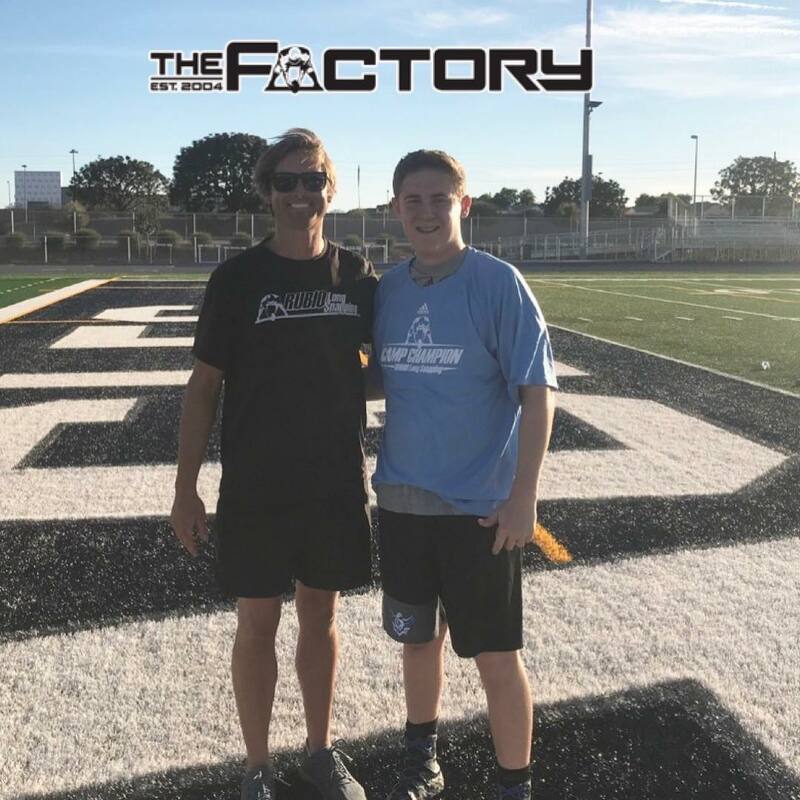 The speed champion was Ethan Hudak with consistent times well under .75. 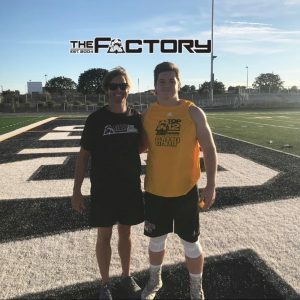 He has the size and power to play in college right now! As you know, at every Rubio Long Snapping camp, the Long Snappers are tested to receive an RSI score. 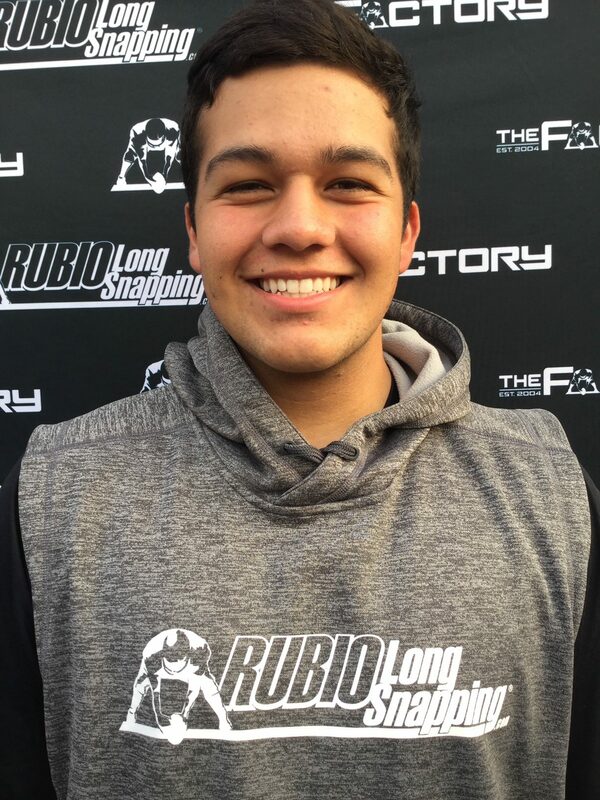 This is the most accurate and fair way to test a Long Snapper. 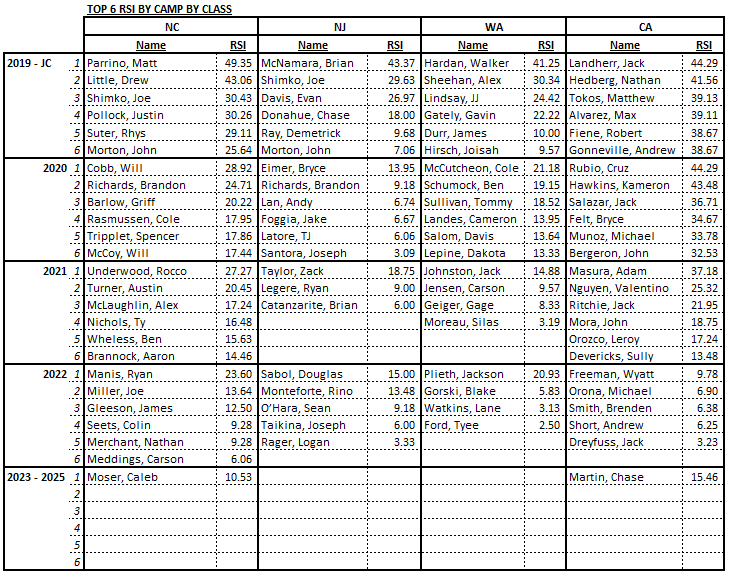 Here are the RSI Scores from the AZ Camp…..